Are you a fan of the Neptunia series? 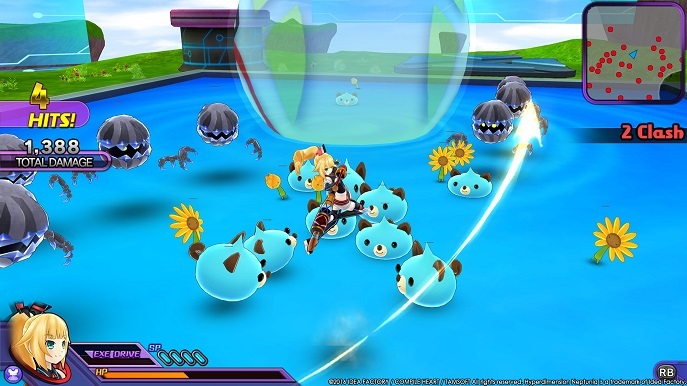 Ever wondered what the games would be like if Idea Factory experimented on something other than the turn-based mechanic? 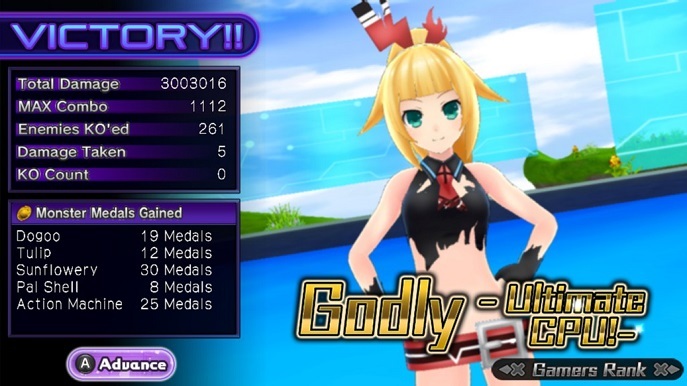 Well now on Hyperdimension Neptunia U: Action Unleashed, we get our favorite cast of console girls (plus a couple new ones) in a fast paced hack & slash beat ‘em up. 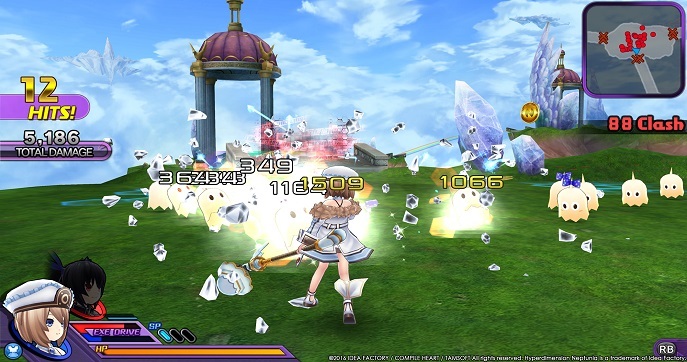 A popular title for the PS Vita is now available for PC/Steam. If you’re guetting confused by the amount of titles this series has and can no longer keep up, don’t worry! I would recommend simply enjoying the char the game offers and the charismatic writing for each of the characters, as well as understand that the plot for each can sound pretty crazy, but hey, there’s anime girls on screen, so…yay? 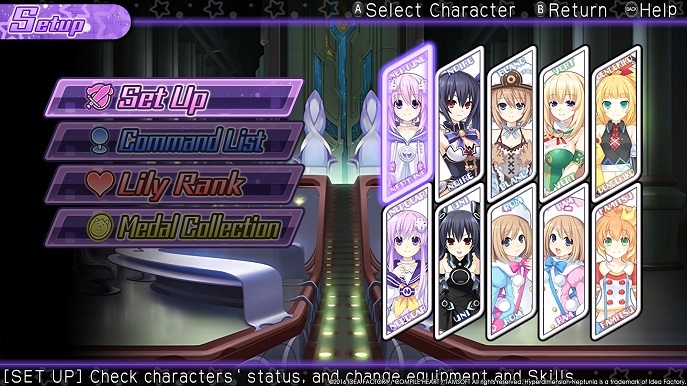 In this game, all the different CPUs (the characters), are so bored that they need to find something to do. 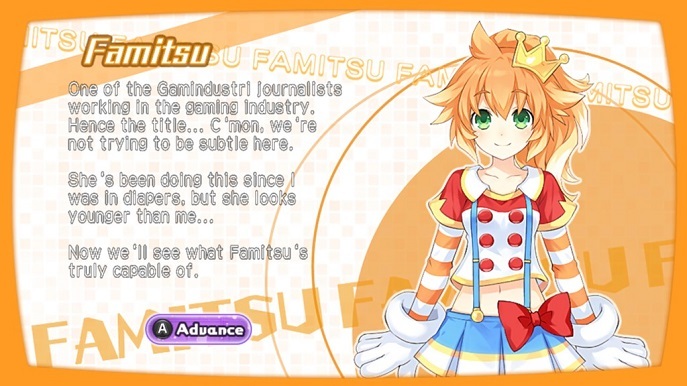 The 2 journliast characters -Dangekiko and Famitsu- offer to write articles about all of them performing and accomplishing quests, because that is how Gamindustri (they even admitted in not being subtle) works, with a bunch of nonsense that works as an excuse to see Neptune back in action. FINE! HOW DOES THIS WORK THEN? Once you’re out of the cutscenes you are able to choose 2 out of the 8 characters to take on a quest which resides in whatever dungeon it’s set on. Once you get in a dungeon, you simply kill enough enemies, collect enough items, or meet the quests’ goal in order to complete it, afterwards earning a score and XP for the chosen characters. Your characters can use weak and strong attacks, each having different and amazing animations for combos and of course a bunch of damage numbers on screen, nevertheless the ability to perform special abilities that take on pips that can be replenished by vials of pills dropped by enemies. Afterwards, if you land enough combos you’re a meter will fill up, allowing you to Transform, taking on another well…form and become much stronger. During these encounters enemies will drop coins that can be spent during Menu Management shenanigans to purchase new abilities. Phew! At the main menu you can Set Up each character’s equipment, improving their overall or specific stats. Other than this, you can also revise character links, in other words, how well a specific couple likes each other, so the more you play with said couple, their stronger their bond will be, this can later prove to unlock awesome couple combos during fights. It kind of is, but it’s the gimmick for this series I believe. The games have reached a point where it’s more inclined on making an enjoyable experience with funny dialogue and fun gameplay. One of the few aspects I like is how you can choose to check on separate cutscenes unlocking new quests, so reading about their weird interactions rewards you with more gameplay. Another new feature that seems strange is how characters clothes get destroyed the more damage they receive…I mean even the characters are saying that’s a weird game design choice! One of the things that most shines in the Neptunia games are the character designs and how well they portray their console and personality. The color palettes and the choice of clothing is –mostly- appropriate, and I say that because there can be some sexualization on some characters that seems a bit much for most people’s taste (or too little for others? ), but any who! The illustrations in the game are very polished, on characters and backgrounds, in terms of illuminations, shading, colors and proportions. The only thing that always affects this game is how this contrasts when it comes to the 3D gameplay. 3D character models get better every time, but scenarios and enemies seem way too generic and repetitive, and the ones with a lot of detail have basically no background lore to them as introduction…they just spawn there and attack like a binary AI. This title being a port from the PS Vita looks pretty phenomenal on PC nonetheless, and at a very stable framerate! Although if you do not have a decent GPU, you may get frame drops when loads of enemies spawn. One thing I enjoy about the game’s music is how each city has its own tune; it’s a nice touch that gives this whole idea of Gamindustri a lot more appealing in a whole. Other than that I can’t really say much else. The music is properly mixed, sound FXs are believable for this context and specifically for this repetitive hack & slash genre, and they feel satisfying when landing special abilities and ranking up those numbers. 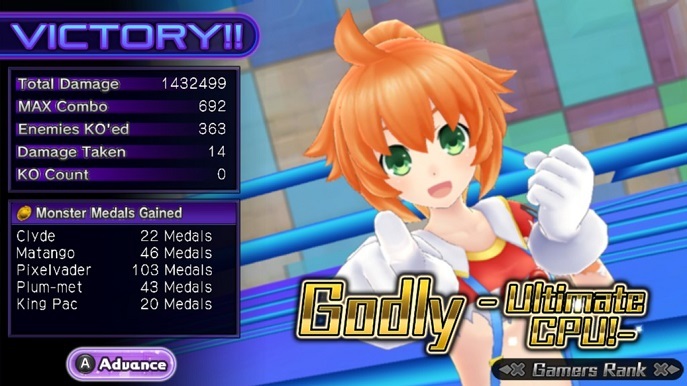 After having a time with this title, I can say I would recommend it and would gladly try out more Neptunia games that reach out to different sorts of game styles, it’s something that breaks the repetitiveness of the series and it’s not always something wrong, it can turn out to be even better. I don’t mind seeing the same characters as long as we get a couple new ones so it’s all right. 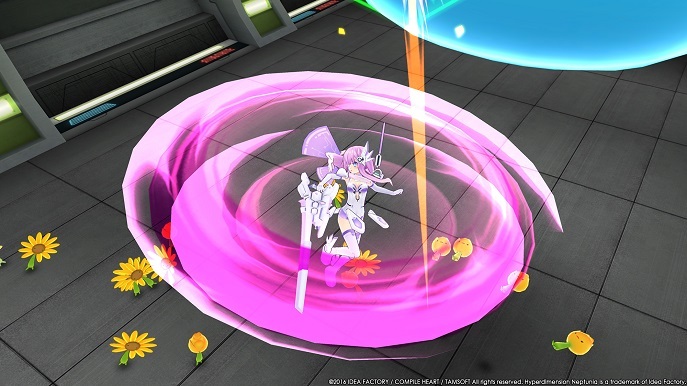 Hyperdimension Neptunia U: Action Unleashed a very worthy title that has been granted to us PC players, we can also hope for Idea Factory to expand their horizons and take it to the home console like they did with Megadimension Neptunia. 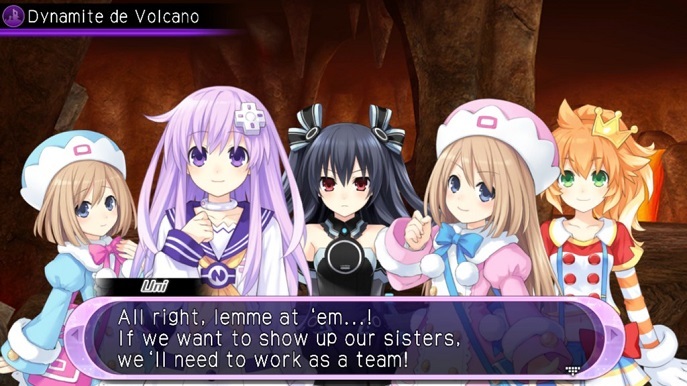 Better just have patience, this is a very unique series that has won its place in the Game Indus- I mean Gamindustri.